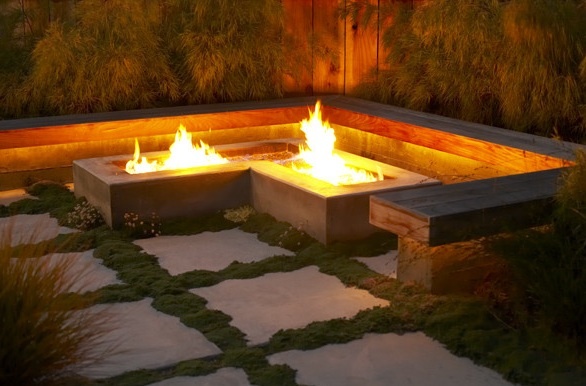 If you can’t find the time to plan a vacation this summer, we’ve gathered some really beautiful fire pit designs to inspire you to create your own getaway in your backyard! Enjoy! 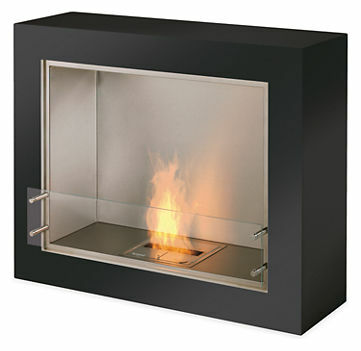 This contemporary fireplace is sleek in its rectangular shape, allowing it to look great in any exterior space. Another nice feature is that it’s eco-friendly! The ventless fireplace uses bioethanol, a renewable liquid fuel that burns cleanly and efficiently, so you can get cozy warmth without smoke, sparks or mess. 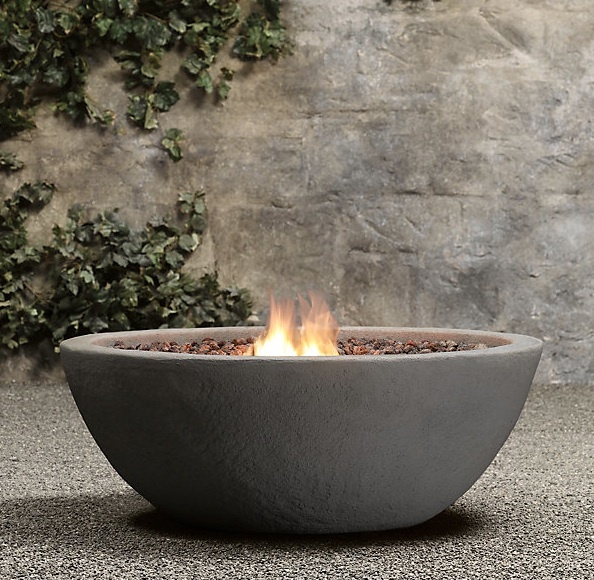 Also eco-friendly, this beautiful fire bowl is made from a heat-resistant fiber cast concrete that would fit in any natural environment. 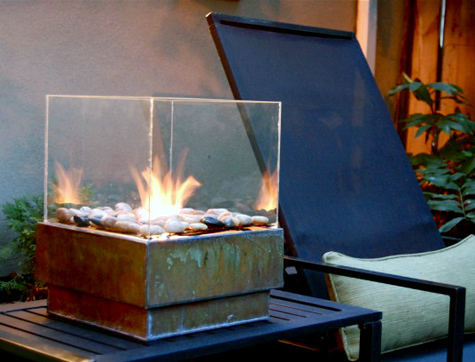 Topped with lava rocks, this fire bowl uses natural gas to spark flames and create a warm ambience in any exterior space. Jeffery Gordon Smith is a landscape architect located in California who designs fabulous exterior environments. 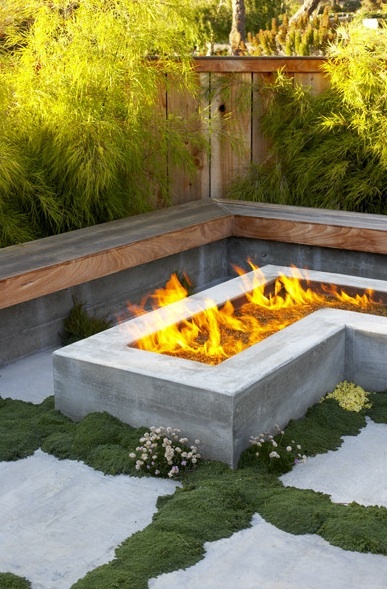 This custom “L” shaped fire pit was created for his project Japanese Cottage. We love this piece because it’s apparent he designed it to be a focus element for people who would be lounging or conversing on the custom wooden wrap-around benches. It mirrors the seating design, which allows the people in that area to all equally enjoy that warm and relaxing outdoor environment! Also, loving the greenery surrounding it all! This next item is something you can actually make at home yourself! Design*Sponge featured the how to for this project from another blogger Karen . 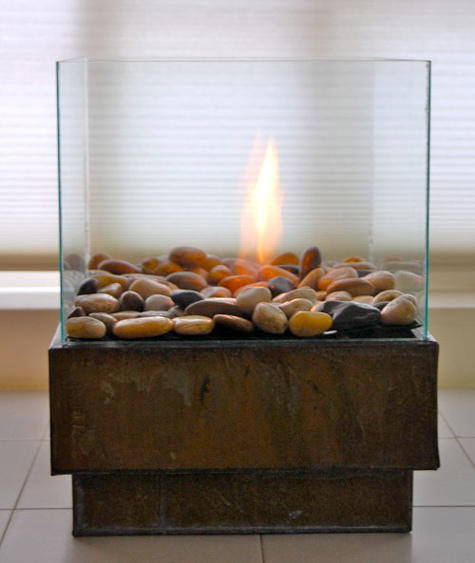 She created this DIY fire pit herself with some simple and inexpensive items. The items included marine silicone, cheap glass frames (these need to fit around the edges of your planter), rocks, any kind of metal mesh (available at hardware stores), gel fuel and any metal planter with a lip (edge). For more detailed instructions on how to complete this project make sure to check out Karen’s blog!